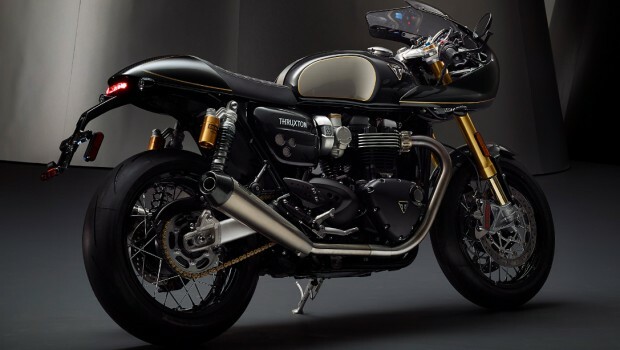 The Thruxton is born of the café racerculture that dominated motorcycling in the 1960s. The 1200cc BonnevilleThruxton and Thruxton R are the real deal, the ultimate modern classic caferacers. 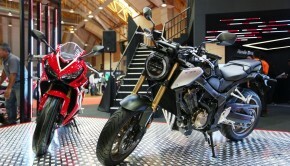 Both with the beautifully imposing and authentic styling, the poise,the power, braking, performance and the handling to live up to their legendaryname. The Bonneville Thruxton returns thelegendary café racer to its performance roots, from the power, delivered by its1200cc ‘Thruxton spec’ engine, to the handling, agility and capability to matchits beautifully imposing and authentic Thruxton styling. The ultimate factory cafe racer, arguablythe most thrilling and full-blooded sports classic motorcycle you can buy.Building on the capability of the Thruxton, the R is equipped to the highestspecification with twin floating Brembo disks, Brembo monobloc calipers, ShowaBig piston forks, Öhlins rear suspension and Pirelli Diablo Rosso Corsa Tyres. 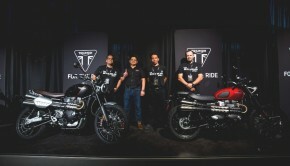 With the launch of the all-new exclusiveTriumph Factory Custom (TFC) offer for 2019, Triumph delivers a landmark momentfor British custom design, with an exclusive limited edition line-up ofultra-premium motorcycles. 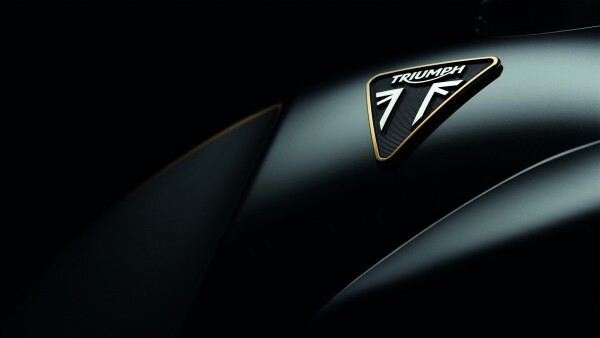 Every TFC motorcycle will be built toembody the absolute pinnacle in custom Triumph design, with a unique level ofenhanced performance, technology, engineering, specification and exquisitefinish. 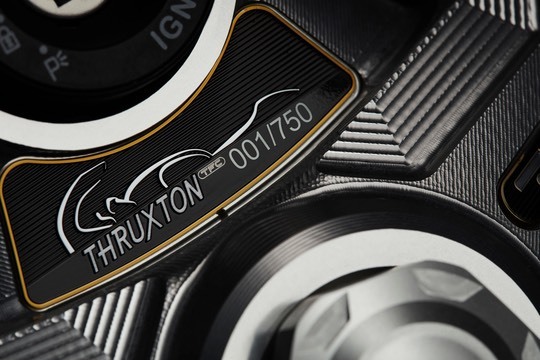 The new line-up starts with the beautiful,more powerful, lighter and even higher specification Thruxton TFC, and a hintof what’s to come next with the stunning concept Rocket TFC. 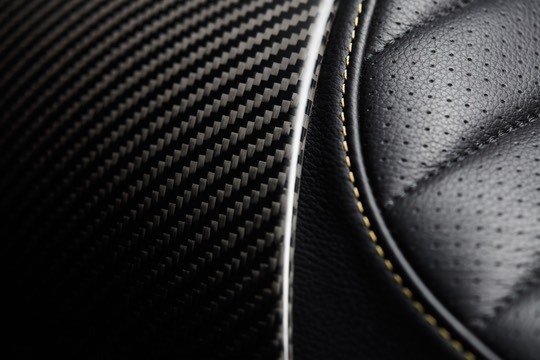 Designed and crafted to exceptional levelsof specification and finish, these motorbikes are ultra-premium limitededitions, inspired by a passion for the worldwide custom scene, and theabsolute pinnacle of their kind with astonishing levels of performance,equipment, and technology. 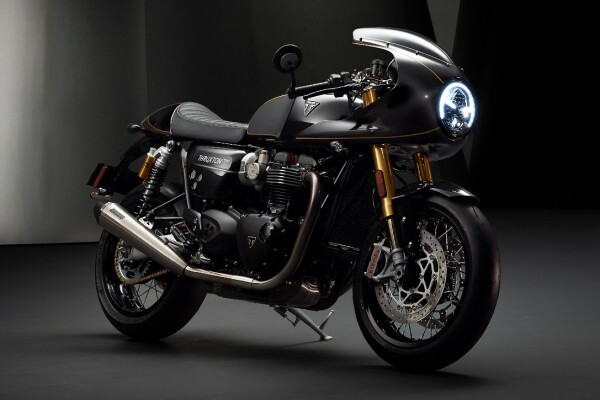 Fact, over 80% of Street Twin riders havechosen to personalise their bike, and the latest Bonneville Speedmaster has agenuine accessories range that numbers over 130. This ethos for creativity andpersonalisation has enabled a whole new generation of Triumph owners to createtheir own custom motorcycle while maintaining all the stunning beauty andauthentic character of a performance bike. 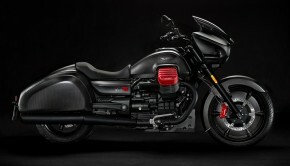 Supported by significant custom expertiseand capability advancements, in 2014 a challenge emerged within Triumph Motorcyclesat their Hinckley headquarters where their community of designers and engineers– already passionate customisers – undertook to create a vision of the ultimateTriumph custom build. Two teams wereformed, and two fully-functioning prototypes were meticulously designed,engineered, and hand-built. 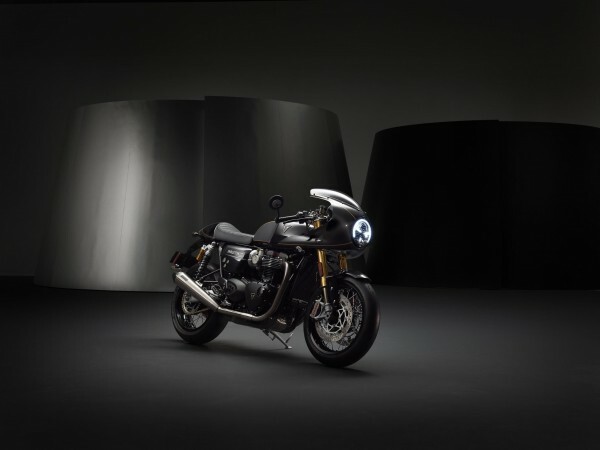 Inspired by these hand-crafted successes, Triumphhave been leading a transformation in customer personalisation for years, withTriumph motorcycles featuring as the starting point for countless pro-buildcreations. 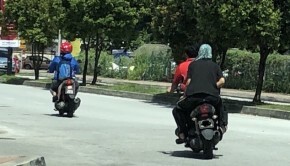 The worldwide interest forTriumph custom specials continues to grow bigger every year, and the many examplesof individual creations have been built at their own factory workshop, fortheir own brand fans. Advancing the way motorbikes are createdhas always been a major part of Triumph’s success since 1902; from the veryfirst historic Triumph No1, to Edward Turner’s pioneering parallel twinengines, through to the hair-raising 2019 Moto2™ 765cc Triple.